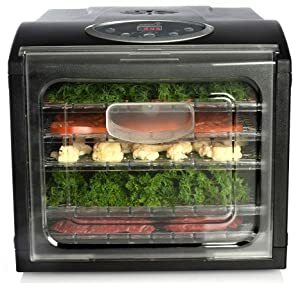 Uniquely designed with a 480w rear-mounted drying fan and air flow circulation technology to promote even drying without overheating, with no need to rotate the shelves. 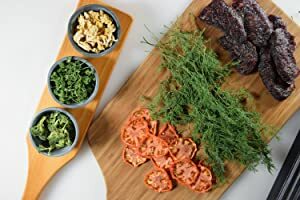 6 Adjustable Drying Shelves (13" X 12"), to contain Meat, Fish, Poultry, Beef, Fruits and Vegetables, Herbs and Spices, Trail mix, Snacks and more. Supports up to 1lb of food on each level. Solid and mesh sheets are included to use for smaller sized and liquid based foods. Never forget to use the Div - Table style generator and the online HTML editor to compose perfect articles for your website!